From an early age, Sarah excelled academically. Unlike her classmates, Sarah saw things differently, a perception shared by few others. She is special, connected to the elements in a way that gave her clarity beyond vision. Following in the footsteps of her father, Sarah was enrolled onto the accelerated Space Technology programme at Ministry’s Space Academy to fulfill her ambition of captaining a starfreighter. There, Sarah was reunited with David, an old school friend from the same district. Friendship turned to something more and soon they became inseparable. However, neither David nor Sarah graduated; the Darkwave destroyed any chance of a normal life. Many years later, Sarah now married to David, have used their skills to stay alive, to keep one step ahead of starvation, attack and death. Now Sarah is a Mother to their Son, Ben, who has inherited her mysterious ability to see the Galaxy in a way that only a minority do, but Sarah is convinced that Ben is even more special and that the Ministry knows it too. 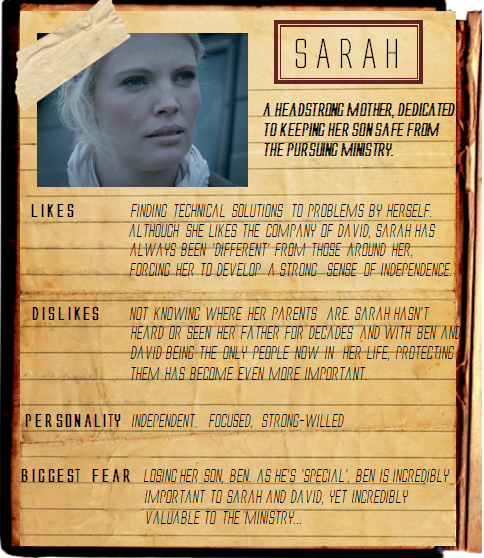 Sarah’s only focus is to keep Ben safe from the Ministry’s grip… whatever the cost.